Ruckus is definitely an energetic dog and love his walks, even as the fall, and El Nino approaches. It's okay since California really needs the rain right now. Although, if you've ever had an American Eskimo during the rainy season, you'll definitely know it's not a walk in the park! Even when he goes into the backyard to relieve himself, he gets into a lot of trouble playing with the neighbor's dog beyond the fence. Cleaning those paws, with the long white fur that grows between them, with our carpet being as white as our pup...is definitely no fun! Available in smaller sized kibble for little dogs as well! It seems to be avocado season here in California as well. We've gotten quite a bunch from the local grocery at really good prices. So, avocado dog food for Ruckus, and avocado for us! Avocados are a nutrient rich superfood that helps both humans and pets absorb the nutrients they need. They're rich in healthy fats and omega-3 and -6 fatty acids. To avoid the wetness for Ruckus, we've also discovered there are indoor dog parks! You get all the benefits of the exercise, with none of the dirt clump fuss! Here is Ruckus relaxing on a triangle platform...well...he should be running up and down it, but it was his first time, so he sauntered across it, I would say. Yet, he definitely didn't mind being at the top of the triangle, getting a good view of the other dogs! Avoderm Natural is made in the USA specifically in California and created using California Avocados and high quality proteins. You can purchase online through this website: Avoderm. 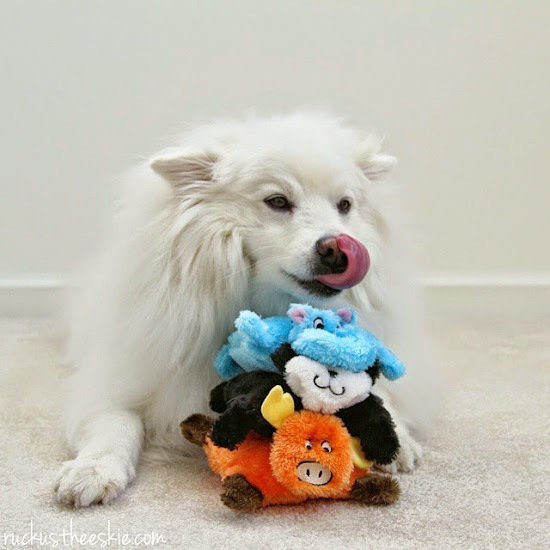 Thoughtless Thursday #95: Dog Toy Graveyard! Which one of you ZippyPaws​ is ready to go to the #dogtoygraveyard ? This post is sponsored by Natural Balance, and the BlogPaws Professional Pet Blogger Network. 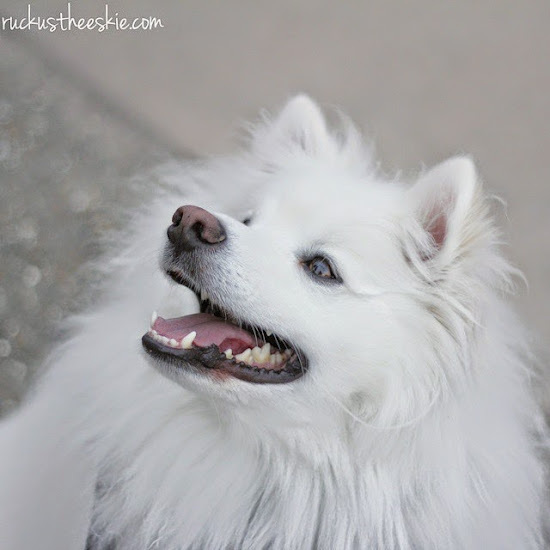 I am being compensated for helping spread the word the word about Natural Balance Wild Pursuit™ or Natural Balance Treats, but ruckustheeskie only shares information we feel is relevant to our readers. Natural Balance is not responsible for the content of this article. When Ruckus is hungry, he goes straight to the source. What you see up there are two nice little chickens, ripe for the picking! Just kidding! No chickens were harmed in this taking of this photo. I don't think the chickens even cared that Ruckus was there. Just a little throwback from when Ruckus visited the Googleplex. Thoughtless Thursday #94: Treats are Done, Time for Giving Thanks!